A cold so far kept somewhat at bay decided last night to move its entire wagon train down my throat and into my chest. This is probably not a good moment to be writing. But prudence was never my forte. One of the annoyances of the Synod of Bishops underway in Rome is that none of the speeches or interventions are being published. Rather, the Press Office is providing summaries. This is a real problem. The summaries raise as many questions as they answer. It would not be so worrying if some of its members had not conducted often vigorous media campaigns before the Synod began, preparing a type of Synod of the Media, reminiscent of the Council of the Media concurrent with Vatican II that Pope Benedict lamented before he left the papal office. This Media Council held the world’s attention and not the ecumenical Council itself. Many have likened the flurry of hopes and opinions expressed before the Synod to the situation before the release of Humanae Vitae in 1968: having set up an expectation of probable change, the reaffirmation of the Church’s teaching was experienced as a great disappointment by those whose hopes had been unreasonably raised. 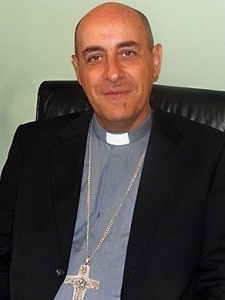 [Archbishop] Fernández embodies the pastoral focus of this reformed synod, a focus which hasn’t been so evident in Rome since the Second Vatican Council. The synod fathers have suggested, he said yesterday, that the light of Gospel truth be seen less as a spotlight or lighthouse — which remain fixed — as a torch which is carried and moves among the people, and especially among the poor, the suffering, and the sinners. The first sentence is a gratuitous assertion of an ideological position that will stand little close inspection. But what it implies, and which is taken up in the second sentence, needs unpacking. Yet again, “pastoral” is being distinguished from and opposed to “doctrinal”. Doctrine is “the light of Gospel truth” that is fixed, “like a spotlight or lighthouse”, whereas pastoral sensitivity is a “torch” – do you get it? : not an artificial light but a living flame – which “moves among the people, and especially among the poor, the suffering, and the sinners.” Who are these sinners that are given especial focus? Is not the Church on earth composed entirely of sinners? the pastors learn as well as teach. The greatest lessons about marriage and family are learned from people who live the Gospel in the love and mercy they show to each other yet who may never have read a single church document. What lessons are these? Lessons in the truth of Christ’s teaching, or lessons in the messiness of human living, a messiness very often arising from people’s poor choices and sinfulness? The distinction is important. In the Church usually there is a deductive method, but in the synod we are trying a new inductive method. We’re learning to use the Harvard case study method in reflecting on peoples’ lives. This will take time for us to learn to do. It’s an approach that says there’s no one-size-fits-all answer to the question, for example, of the divorced and remarried, and that what the Church needs is greater flexibility in applying solutions tailored to particular cases. This sounds very much like situation ethics revived. Morality “tailored to particular cases” is in effect to say, Gospel truth edited to suit particular cases, presumably so as not to impose burdens, such as guilt, on people, and so make them feel even worse than they do already as they cope with the messiness of human life, their choices and their sins. There is a lot more in this Catholic Voices blog post that deserves attention, but for now this dichotomy set up between pastoral and doctrinal needs to be considered carefully. To paraphrase a little, the pastoral approach does theology from below, starting with the people and their lived experience; the doctrinal approach does theology from above, from God and his revelation. The one is anthropocentric, the other theocentric. While the lives of sinners, for example, may have much to teach us about earthly human reality, they have much less to teach us about divinely-revealed truth. God has revealed his will and his commandments with a precisely pastoral purpose, to show us how to live in a fallen world in which we make fallible, selfish even sinful choices; to live in a way that will allow us to share in His life both here and now, and in eternity. The way to God is determined by God and has been revealed by Him above all in Christ, for us and for our salvation. Is Jesus somehow not being pastoral? Or might it not rather be that he is teaching the full truth, and not resiling from it, precisely because this is God’s truth, and the way to reach Him and all that He has promised us? Who are mere humans to change God’s revelation? If these questions can be answered in another way I would really like to hear it. Perhaps now we can deduce the best conception of what is pastoral: the presence of the Church among sinners, holding the fixed light of Gospel truth to reveal to them a way out of self and onto the path to God, and thus to true consolation and lasting joy. When it comes to morality, perspective is all important. If morality starts with humanity, and becomes primarily a tool to ease human discomfort then we tread a dangerous path indeed, that very path Christ warned us against. If morality, instead, starts with God and is seen as the means by we live as God intends us to live, we are on much safer ground. And it is about safety. Our eternal life depends on it. It is this eternal perspective that seems too often absent in the current debates. Some may wish Jesus might have been a little softer on divorce, but he wasn’t. And I’m sticking with him. First of all Father, I’ve noticed you tend to always get sick this time of year—just as I did during my teaching days, always every Fall. I picked up everything from the kids—My prayers for relief and healing will waft Heavenward on your behalf as I know how hard it is to carry on sick and feeling like crap—plus some Vitamin C will help!! As we, the egocentric sinners we are, do not like to hear the word hard. 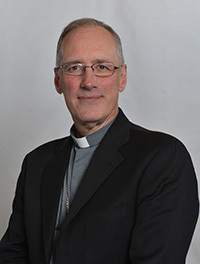 Hard equates to work and effort and at times failure and many retries—–we, as a people are never keen on the whole effort, failure, retires—preferring easy, soft, catered to, comfortable—–and this impart eats at the root problem the Church is facing—it’s easier to capitulate and acquiesce and appease the belly aching masses who do not want to hear the hard truth or live the hard truth of failings, sins and the realization of not living under the covenants set forth by a Father who is just that. . .a Father who love yes, but set rules for “his kids” to follow and live by” as He is indeed the Father who knows best!! You are right to focus on the human aversion to “hard”. It is understandable that we shy away from the difficult and the painful. But while the Church recognizes that tendency in us and gives us help to overcome it, it can never be canonized or legitimized. That would be to give us a Christianity without the Cross, which is no Christianity at all. Pain is sad but often necessary. If we accidentally put our hand on a hotplate, the searing pain tells us to get our hand off it quick-smart! The principle holds true for our spirits as much as our bodies. Well said again Fr. Hugh, and I hope your lurgy gets better soon. The more that comes out of the Synod, the more I am amazed that it is possible to be sacramentalized and, to some extent, even catechized without ever having been evangelized – including some of those who hold high office in the Church. Do they even ponder how God views divorce? Are they even aware that the purpose of pastoring is to bring the sheep closer to God, not abandon them to a field of ragwort? Salve! Your question is sound. It seems we cannot shift our gaze from this world and this life alone. Whatever happened to eternity?